Dr. Prvulovic's research focuses on hardware and software support for program monitoring, debugging, and security. In general, the goal of his research is to make both hardware and software more reliable and secure. 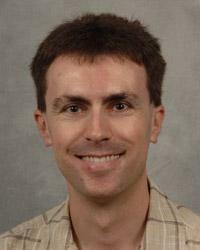 Dr. Prvulovic received his Ph.D. from the University of Illinois at Urbana-Champaign in 2003. He is a Senior Member of ACM and IEEE, served as the Chair of the IEEE Technical Committee on Microprogramming and Microarchitecture in 2016, and is a member of the Steering Committee for the ACM/IEEE MICRO conference.